When I did my first Bright Club talk at BCM4 in December 2010, I introduced myself as an astronomer and then showed a few examples of astronomers in movies to get a feel for what people might expect from me. This is a quick post that I’ve put together mainly so that I can easily find this information again! 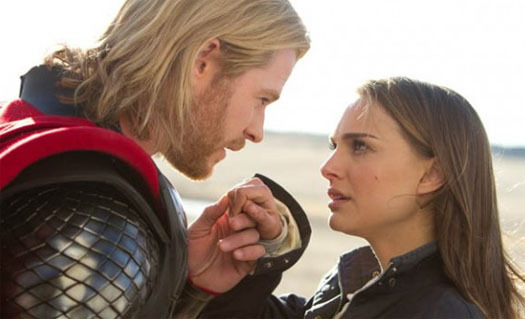 I should probably warn that this post may contains spoilers if you haven’t seen these films. 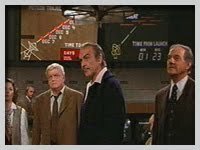 I watched the 1970s masterpiece that is Meteor following a “recommendation” by a Jodcast listener who said that Jodrell Bank fail to save the day and described Sean Connery’s character as a “brooding anti-war astrophysicist hero” or words to that effect. From what I remember, Dr Paul Bradley is brought in by the US government to save the day when they discover a huge meteor heading our way! I won’t go into all the things the film got wrong but basically Dr Bradley single-handedly unites the Americans and Russians so they can all aim their nukes at the meteor and blast it into oblivion! Oh, and he has an awesome moustache. 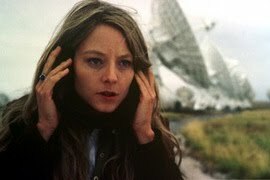 I have to confess that I am yet to watch Contact. However, I think I am entitled to judge! We do NOT sit around listening out for aliens on headphones when we use radio telescopes! Nonsense, nonsense, nonsense, nonsense, nonsense! Update (10 October 2011) – I finally watched Contact. I just can’t get over the headphones! I actually quite enjoyed Sunshine in the moments when I managed to forget that I knew any physics! Cillian Murphy plays Robert Capa, an (astro)physicist turned astronaut (apparently modelled on Professor Brian Cox) who is part of a team sent to chuck a massive bomb into the Sun to restart it. Now I’m not sure how many physicists get to become astronauts (I count one out of the 14 ESA astronauts) but I do like the idea that the physicist saves the day.